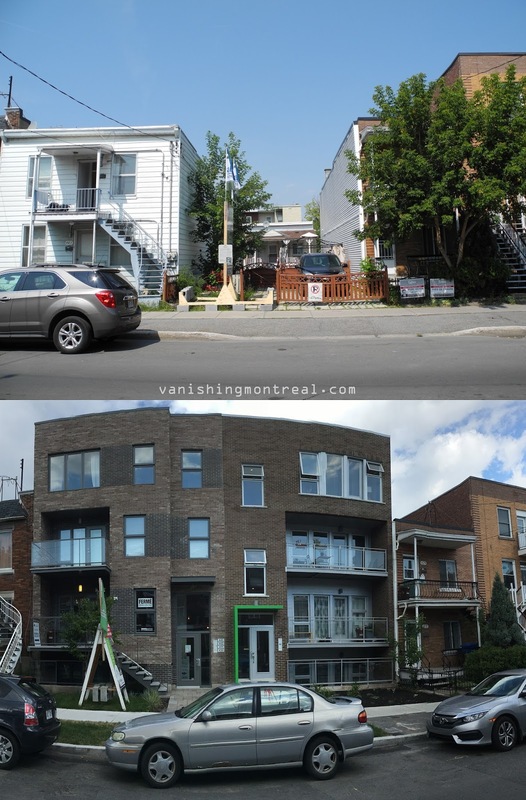 The left and right side look like buildings from two different time periods, not BOTH recent builds. One unit has a private staircase? Very weird.